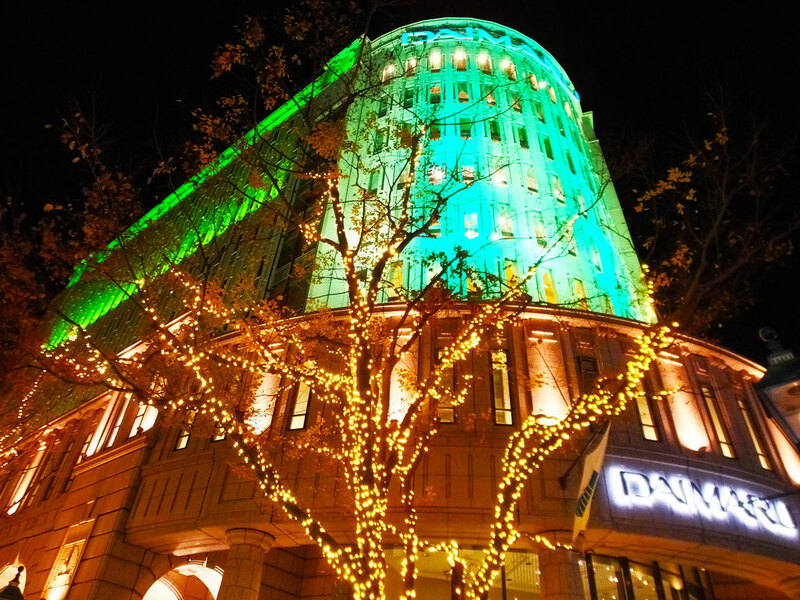 In the Christmas season, Daimaru Kobe is illuminated in green. 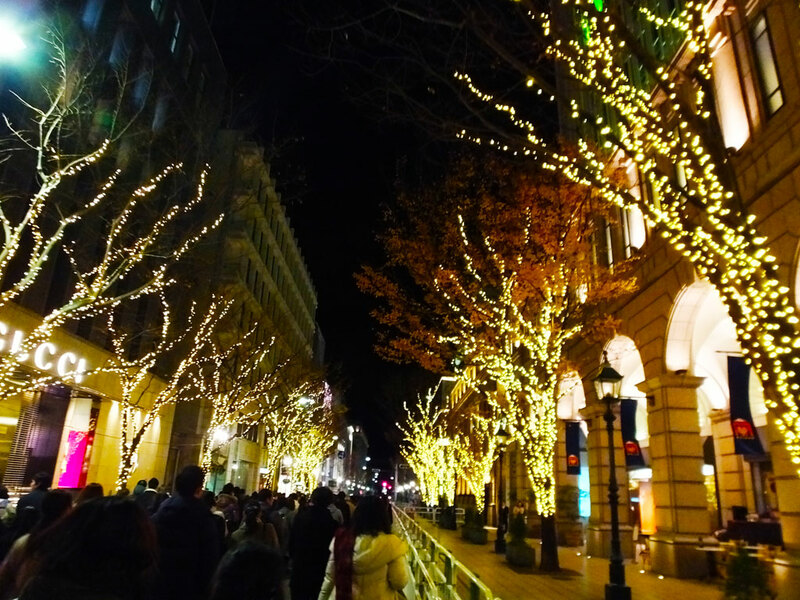 An adjacent street is lined with illuminated trees, too. You can see them on the way to Kobe Luminarie.